I wrote this song a few years ago for my friend who had just graduated from seminary and was ordained for her first call in the ministry of the ELCA in Seattle, Washington. Her favorite hymn is “Be Thou My Vision,” so I created a contemporary reflection on the text of this most beloved hymn. She is also of Japanese descent so I found this chord progression from Japanese pop music. I always pray to follow God’s vision and not my own, even if/when it may not be what I am comfortable with. Pray, listen and follow the direction that God has for your life because our vision does not allow us to see what God has in store. I hope you like the song and if you do, then please share this post! To God be the glory! “Take the shackles off my feet so I can dance! I just want to praise You! I just want to praise You! You broke the chains now I can lift my hands! This song by Mary Mary has been one of my all time favorite praise songs since I was in high school! As the years go by, the words have taken an even deeper meaning for me as I had to journey through life’s challenges and valleys. We’ve all been there right? When everything thing that could possibly go wrong does. But you know what? Even then, in our darkest hour, God is is with us. Even when we feel alone and abandoned, the Lord is right there beside us. Revelations 2:10 (NIV) Do not be afraid of what you are about to suffer. I tell you, the devil will put some of you in prison to test you, and you will suffer persecution for ten days. Be faithful, even to the point of death, and I will give you life as your victor’s crown. James 1:2-3 (NIV) Consider it pure joy, my brothers and sisters, whenever you face trials of many kinds,3 because you know that the testing of your faith produces perseverance. In these past 6 months, I had to leave all that I have ever known because I was not safe there. And the Lord has provided for me and my family beyond what I could ever have imagined. I did not step out in faith. I leapt. I jumped because I had to and the Lord caught me and has kept me safe. This is what it means to trust in the Lord and not rely on your own understanding or knowledge. Isaiah 55:11 (MSG) “I don’t think the way you think. The way you work isn’t the way I work.” God’s Decree. “For as the sky soars high above earth, so the way I work surpasses the way you work, and the way I think is beyond the way you think. Just as rain and snow descend from the skies and don’t go back until they’ve watered the earth, Doing their work of making things grow and blossom, producing seed for farmers and food for the hungry, So will the words that come out of my mouth not come back empty-handed. They’ll do the work I sent them to do, they’ll complete the assignment I gave them. So, whoever you are and wherever you are in this life, all that I can say to you, from one child of God to another, is that God is there for you now and forever. Amen. 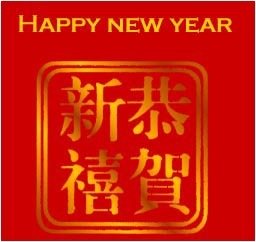 So last week many people around the world celebrated Chinese New Year. I love this time of year. Living in Las Vegas, one might get desensitized to the array of extravagance on the famous “Strip” and it’s numerous casinos and attractions. 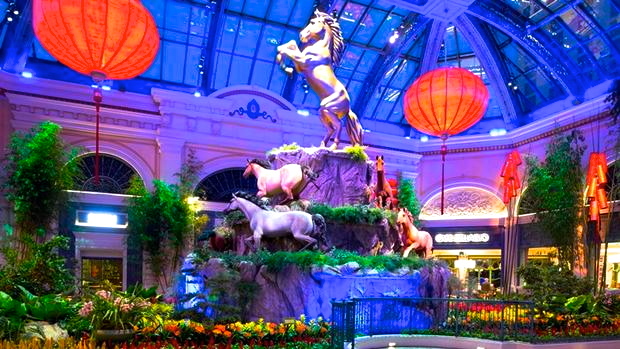 This is also the main time of year where all casinos pull out the stops and unleash their Asian marketing strategies with lavish Chinese decorations, events and concerts specifically for Chinese people. And with all of this opulence, it is so easy to forget how fortunate we are if we live in a country that doesn’t persecute us based on our religious beliefs. Now, I am not Chinese, although my great grandparents on both sides are of Chinese origin, but I am a Christ follower and believe that my purpose on earth is to minister the grace, love and forgiveness of the Gospel of Jesus Christ. I find it hard to stomach that there are some parts of the world where the Bible is illegal. I find it very painful to accept that, even in the present day, people are being persecuted or killed because they believe in Jesus Christ. Why one human being would harm another is beyond me, and I pray for those being persecuted and I especially pray for those who are doing the persecuting. It is with this that I reflect on the following scripture passages from the Gospel of Mathew and John. Matthew 5:10-12 “Blessed are those who have been persecuted for the sake of righteousness, for theirs is the kingdom of heaven. 11″Blessed are you when men cast insults at you, and persecute you, and say all kinds of evil against you falsely, on account of Me. 12″Rejoice, and be glad, for your reward in heaven is great, for so they persecuted the prophets who were before you. Letting all people know that they are loved, cherished and forgiven is the most precious gift that I can share with this world. I could not imagine being forced to remain silent about the salvation that we all receive through the intercession of Christ on the cross and His glorious resurrection. Even though it is a secular love song, I see these particular lyrics, of this section of the song, as the words of Christ and how He loves all of us more than we could ever imagine. His love was and is real and surpasses anything that we might experience on earth. His love says that we have value to God. His love says that the battle has already been won and that we can live freely, knowing that our salvation through Christ and the glory of Almighty God is ultimately victorious over sin and death. His love is the foundation of my faith and the example that I strive to live by everyday. That being said I pray…Lord God, Abba Father, we pray for those in this world who are persecuted because they accept You, Jesus, as their Lord and Savior. Give them strength in the knowledge that they are not alone and never have been. Comfort them as they grow in relationship with You and with each other. Let the power of the Gospel and the truth that is Jesus Christ shine through every dark valley of this world and life. We also pray for those who are persecuting our Christian brothers and sisters. Let Your compassion melt away the coldness of an unfeeling heart and open the windows of their lives to reveal all that You are. We pray that it will be on earth as it is in heaven, and that the true and authentic love of our Creator will be what binds this human family together. In the name of Christ we pray all of these things. Amen.